Garmin G1000 : X-Plane Integration and cost. There has been a lot of talk around the Garmin G1000 integration into X-Plane cockpits lately and the availability now of a Plane-Maker add-on is interesting. adventurer854 has created a Garmin G1000 twin screen set that can be added to your aircraft via Plane-maker. 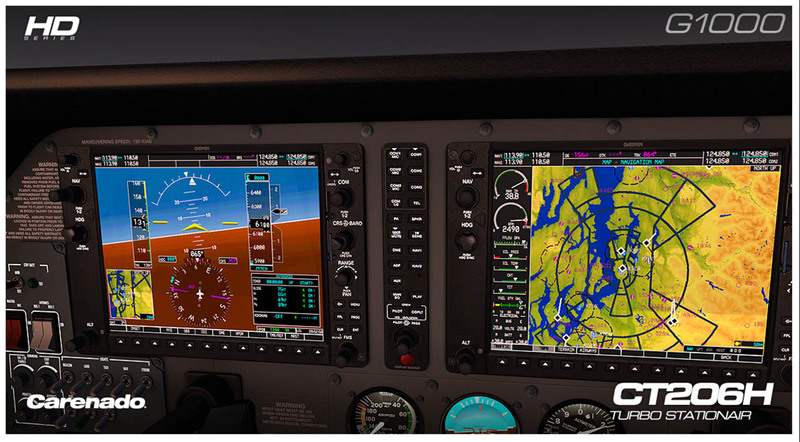 It is the basic set of components that adds the G1000 functionality to any aircraft that can accept the G1000 layout (From General Aviation to Light Jets). And a great layout it is. It has to be noted that the functionality is directly related to the basic set of Plane-Maker commands and so not all the switches and buttons work. If you can accept that then the setup works very well. The basic Garmin G1000 installation contains two LCD displays (one acting as the primary flight display and the other as the multi-function display) as well as an integrated communications panel that fits in between the two screens. On the real unit you can use a third display unit, to act as a co-pilot PFD. The Primary Flight Display (PFD) shows the basic flight instruments, such as the airspeed indicator, the altimeter, the heading indicator, and course deviation indicator. A small map called the "inset map" can be enabled in the corner. The buttons on the PFD are used to set the squawk code on the transponder. The PFD can also be used for entering and activating flight plans. The Multi-Function Display (MFD) typically shows a moving map on the right side, and engine instrumentation on the left. 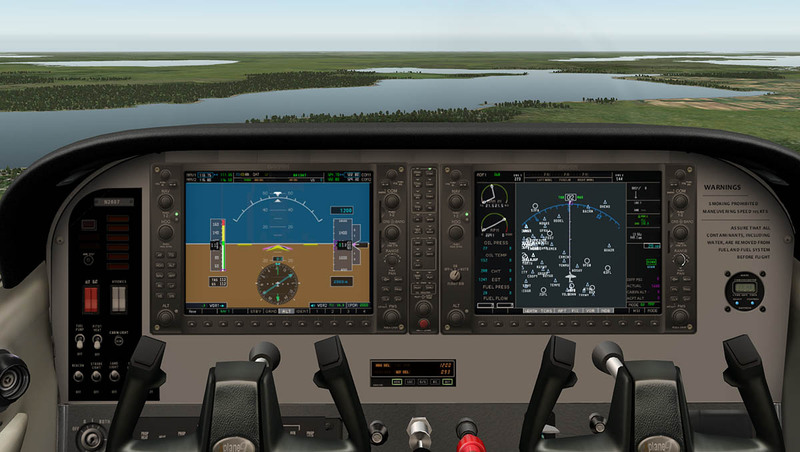 Most of the other screens in the G1000 system are accessed by turning the knob on the lower right corner of the unit. Screens available from the MFD other than the map include the setup menus, information about nearest airports and NAVAIDs, Mode S traffic reports, terrain awareness, XM radio, flight plan programming, and GPS RAIM prediction. But because of the limitations not all functions as noted are available, certainly not the "Terrain Awareness" (it is replaced by the standard X-Plane MAP function)... The only payware aircraft at this point that uses the G1000 is Jim Gregory's Cessna Corvalis and that is quite basic. A quick flight in the 172SP shows it is a great set up, but it is still a better than nothing compromise at this point, so what would be a great set-up? If you go to the FSX catalogue of General Aviation Aircraft at Carenado and more importantly the CT206H Stationair G1000 EXTENSION PACK you can see the G1000 in all its glory. No doubt this is a great setup, but it does raise a few questions? 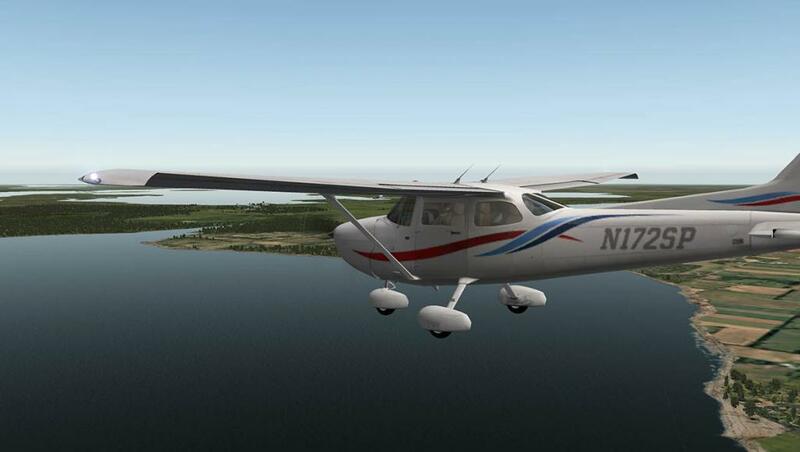 For FSX this is a US$14.95 add-on to the price of the aircraft (usually US$29.95) . The set up with the CT206H Stationair is to have the standard clockwork gauges and the noted G1000 expansion pack as an extra cost. 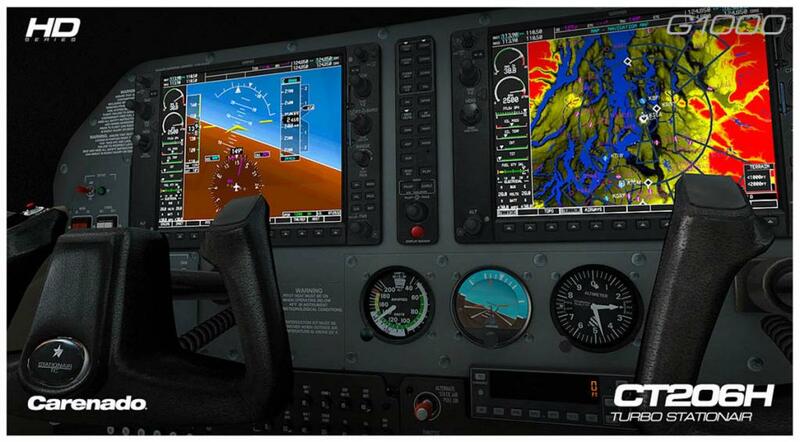 So would you pay such a higher price for just the G1000 functionality? No doubt the quality would be high from Carenado as it is in the A36 with the pop-out Aspen EFD1000. Of which I found to be an excellent package. 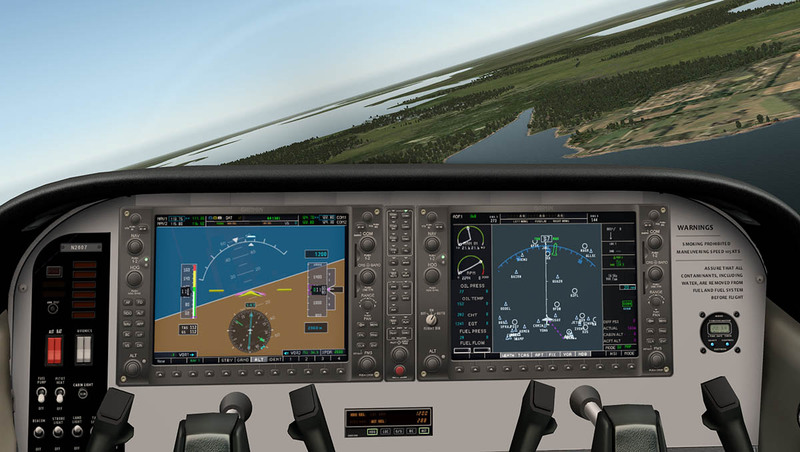 But the problem is that to implement the G1000 for the X-Plane versions would be time consuming (meaning costly) which would hence the extra cost of the add-on package. That does of course give you either the option of the standard gauges or the glass G1000 panels if you are willing to pay for it... but here is the rub. So what would be your choice then? Standard gauges fitted in to replace the G1000 or the G1000 at a premium extra price? The point to remember here is that any premium add-on to any payware aircraft will have to deliver the full G1000 experience. Not just a default G1000 panel (using the default Plane-Maker settings) as supplied by adventurer854. Overall the question is that are we prepared to pay extra for these sort of more highly developed add-ons like the G1000 panel, If we want the quality and the functionality then that may be the only case. As you have to remember that many of the aircraft used for training today use only the G1000 set-up, For X-Plane not to have that functionality may drop the simulator down a notch or two if it isn't available to trainers and their trainees in the process of them learning to fly. For now give the 172SP a try, It is not perfect but it does show you the G1000 in a basic form. So how can I buy it for xplane and how much? Not yet no... But the Garmin 1000 layout has to be on the radar soon. With the GNS430/530 update in v10.30 I would take a big guess and say the G1000 would have to be next. So has this been released yet? if so how do i get it?